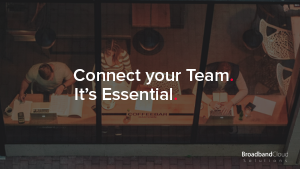 It’s 2016 and there are more ways than ever to connect your work team together. Are you doing it? Communication is a key part of business. It allows a platform for collaboration, idea sharing, brainstorming, communicating updates and so much more. How do I start connecting them? Ok so next up is Skype. It can be great for chatting to your team – whether thats on IM (Instant Messaging) or by voice/video call. You can send files and documents over Skype too – but it cant be slow during peak times. Skype is free but if you wish to have better features – like group video calls, then you’ll need to upgrade to the paid version. As a team, we love Slack! It’s basically a hub of communication for your whole team. It comes packed with loads of cool features including IM, file sharing and much more. In terms of web development, it works wonders for us and our friends at NSDesign as we can share snippets of code which can be viewed and even saved, straight from the application. Oh, and speaking of application – it can be used as a web based application or desktop application and works seamlessly across your devices. Another one that we love! Google Calendar is perfect to use as a shared, group calendar. You can add dates to the diary, schedule time to projects, block out your holiday’s in advance – all to help you better prepare and manage your time efficiently. We have used google calendar for a few years now and it’s never let us down! Simply create a calendar (which is FREE) and invite your colleagues. What’s great is that you can create a personal calendar too! It might be a good habit to get into doing this. 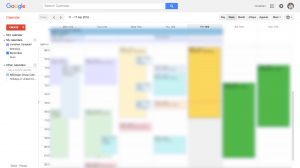 Some of our team even sync the calendar across their devices, mobile phones, tablets, smart watches… the list goes on! This allows reminders to be sent to your devices, keeping your personal and working life in order. How do you manage your team? We’d love to hear your ideas! Tweet us @BroadbandCloud, feel free to share your ideas with our sister company, @NSdesign, too!